Electricians looking to develop their green credentials can now give their skills a boost with a new course available on Teesside that comes with global benefits. With the number of electrical vehicles on our roads set to surge, Stockton-based training provider NETA Training has introduced an electric vehicle charging equipment installation course to help meet the growing demand and ultimately help reduce harmful emissions. By 2040, all new cars and vans should be electric or effectively zero-emission according to ambitious plans set out by the Government. With it will come the need for more charging points and an improved infrastructure. With grants available to encourage households to make the switch, demand is only expected to grow. By 2020 there are anticipated to be approximately 42 million registered charging points in the UK. 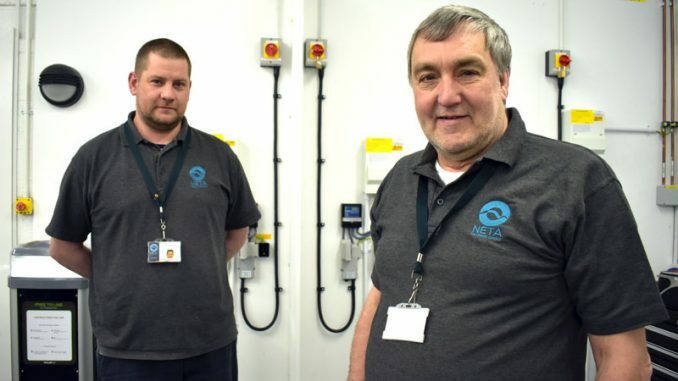 Ian said: “The two-day course at NETA is aimed at your everyday domestic/commercial electricians and electrical companies who may be called on to install chargers in houses, garages and drives as well as on street installation. NETA is among the first training providers to offer the course in the Tees Valley area. With work underway to make electric vehicles a viable alternative to the internal combustion engine the Government is encouraging people to make the switch. With technology rapidly evolving, work continues to increase electric vehicle battery capacity, improve recharging times and increase the number of charging points. The new City & Guilds course will give delegates an understanding of the installation of domestic EV outlets, the requirements of the Code of Practice and the ability to complete both inspection and testing. The first course takes place at NETA Training’s Lustrum facility from Mon April 29 to Tues 30 and spaces are still available. For details visit www.neta.co.uk email info@NETA.co.uk or call 01642 616936.